At Whitakers, we spend quality time to ensure both the engagement ring and wedding ring look and feel good together. We find it important to consider the practical elements, such as widths and heights, whilst the beauty of the design is maintained. 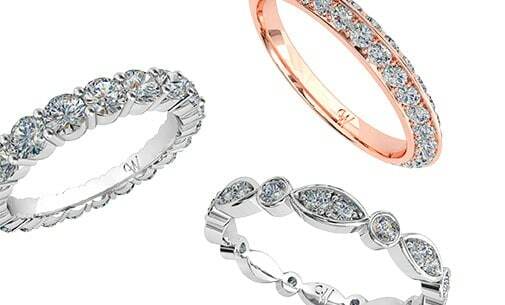 Our range has been designed to include timeless styles such as traditional, diamond set and vintage. Whitakers can also help you design your own unique wedding band through our custom design process. We believe your wedding bands should be as unique as the moments, memories and people that inspired it. Stop by our boutique in Darby St, Newcastle to try on our range of women’s wedding rings or make an appointment with one of our custom design specialists.